It’s a cool and wet morning here with a soft rain falling that I wasn’t expecting. The ground around the studio is saturated like sponge and when you walk through the grass there are spots where the green of the tall grass– my lawn needs mowing– is overtaken by the brown of the muddy soil. 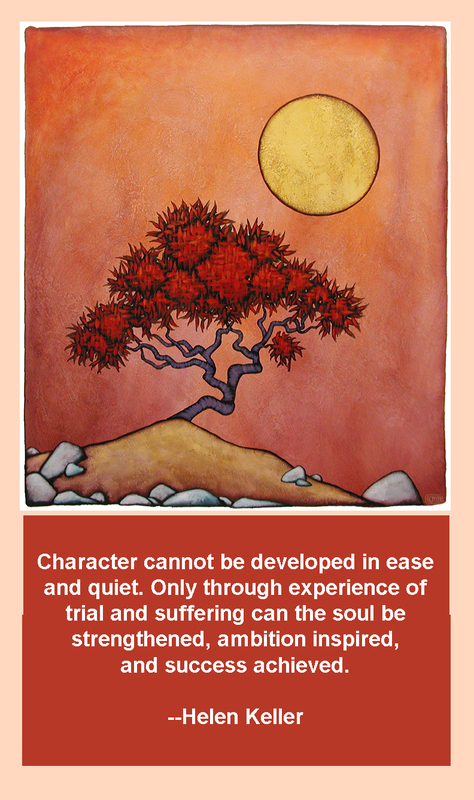 It sets a quiet tone within me. The last several days have been so busy that I haven’t had the chance to just spend the time in the studio to which I have been accustomed for the past decade or so. It’s not just time spent painting but, more importantly, time spent mulling things over and trying to set things in an orderly way that allows me to more fully function. Not having that time makes me uneasy, like I am on the verge of losing my balance. So the quiet of the cool air and the soft rain and the muddy steps in the grass feel good this morning. This quiet allows me to slow my thoughts, to abate the tensions of those things which I can’t control. Oh, they’ll be back soon enough but for a short time I recede into this quiet. And that is a good start. For today’s Sunday morning music I am featuring a group that flew under my radar until this week’s painting workshop. One of the attendees, Frank who has been with me for three of these workshops, excitedly told me that he had discovered that one of his most favorite groups was performing at the Smith opera House in nearby Geneva. Frank normally drives in to these workshops in from about an hour or so away. This year he and his wife were staying in Penn Yan and would be able to see the performance. He was ecstatic. The group is a renowned, Grammy Award winning male vocal classical ensemble from San Francisco called Chanticleer. They have been performing with a revolving roster of voices for 40 years and this performance was part of their anniversary tour. The clip below is the group performing one of their better known selections along with another elite male ensemble, Cantus, in a bar where the two groups had met up. The song is Ave Maria from the 20th century composer Franz Biebl. It’s a stunning display and, unlike Thursday’s judiciary hearing, there are no red-faced mean drunks anywhere to be found. That in itself is refreshing. Give a listen and have a great Sunday. Like most Americans, I have found the last couple of days have been exhausting. My reasons are most likely different than most other Americans. I was fortunate in not being able to watch the proceedings surrounding the Supreme Court and instead spent the last two days leading a painting workshop up in Penn Yan. Tiring but not maddening. I feel so fortunate. It’s a two day workshop and these people do an amazing amount of work in a very short time. Probably too much. Working off a piece that I am painting in front of them, they basically finish two decent sized paintings in two days, start to finish. The last half of each day is a flurry of activity as each of them moves quickly to bring the painting to state of completion. There is little time to consider each movement. Just paint. At the end of each day I am always stunned by how well they have adapted to techniques that are not easy and require a bit of practice, more than the short time in this workshop affords, in order to have any degree of mastery. I look at the work completed and realize that what they have done is much more than I do normally do in any two days in my studio. I am not sure they even realize how much they have done. Hopefully, they take some small bit of the experience with them. Maybe look at the pieces they’ve done and say Wow, I did that! It was great group and I feel fortunate to have gotten to now each of them a bit more. I am sincerely proud of each of them and how much they have done in the short time we worked together. But like I said it’s exhausting, a lot of work and anxiety for a guy whose real comfort zone is in my studio tucked away from the rest of the world. I am not sure if I am going to do it again but if I do, it will be because the folks who come each year treat me so well. 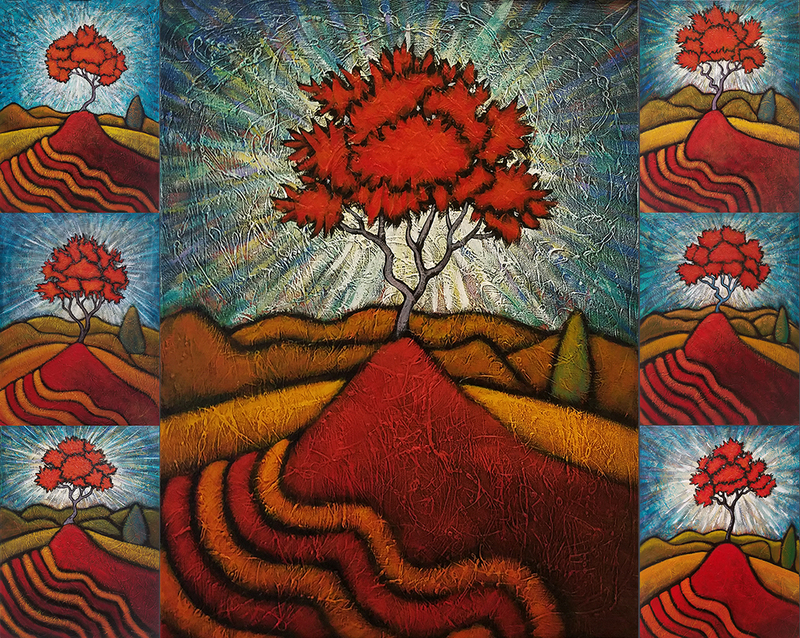 I think if I do opt to do it again, we would only work on one painting and work at an easier pace where they can take more time to consider what they are doing. But that is the future. As to the present, many thanks to to the great folks I spent the last two days with. It was my pleasure. 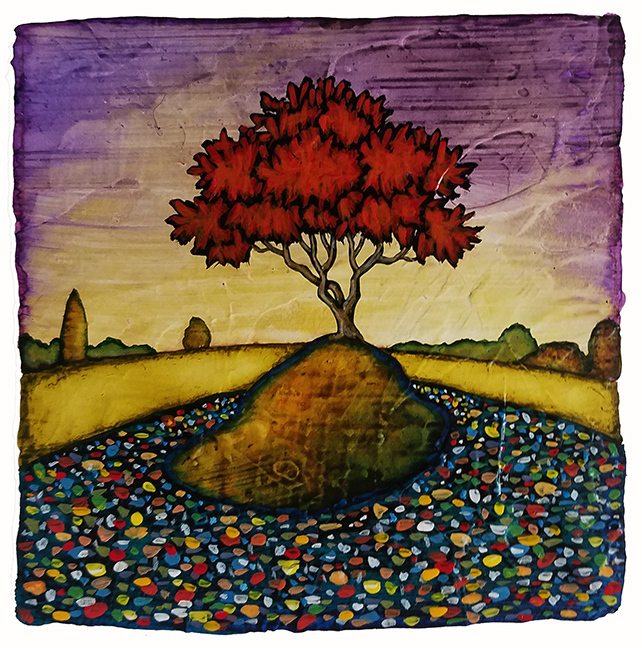 I am busy getting things around today for a workshop that I am leading up at Penn Yan in the beautiful Finger Lakes tomorrow and Friday. This is only my fourth year doing this but every year I say that this is most likely the last time I will do this. The words have already left my mouth this year. I do not feel that I am a natural teacher and get somewhat stressed out doing these, much more so than giving a talk. Because the folks at the workshop are paying to be there, I worry that they won’t get their money’s worth. That’s where the anxiety comes in for me. I probably overcompensate in response to this but if it helps me feel that I have given something of value to these folks, then I can accept that. Even though it’s stressful, I have to say that I am glad to be doing this workshop this year, given what might be happening in the next couple of days in DC. I would rather be teaching a few of my techniques to willing and friendly faces than yelling and swearing at my television. So, I am taking a few days off from the blog. The image and Helen Keller quote at the top speak very much to the trials this country is currently experiencing. Whatever character we possess as a nation, now is the time it will be truly revealed. Good luck to us all. See you in a few days. Today is National Voter Registration Day. I truly urge anyone who has not yet registered to make today the day that you finally take the plunge and join our democracy. We are at a vital point in our history, one that may well rival the Civil War/Lincoln era of the 1860’s, the Great Depresson/FDR era of the 1930’s or the Civil Rights/Viet Nam era of the 1960’s in importance to the history of our country. There are still alternate paths to us going forward and this coming election may well dictate which path this country follows. One takes us closer and closer to a government ruled by a private governing elite of corporate power that is wholly released from public accountability. This includes privatization of prisons, the military, education, infrastructure and social safety networks as well as the removal of most environmental, financial and workplace regulations. The citizen will live to serve the corporate bottom line. The other moves us back towards a government that elevates the rights of citizens over those of corporations, one that looks to insure that the safety net that has saved so many of us from falling into abject poverty over the years stays intact. This path better protects our environment, our healthcare decisions, our workplace protections and our finances. A government that would exist to serve the citizens. This may well be the most important election that we will take part in. Some of you will say that is foolish hyperbole, that it will all work out for the country however you vote. In other times I might agree with that. But today that is precisely what they want you to believe. You see, we are at a point where a concerted effort over the past four decades by wealthy idealogues to weaken our public institutions and reconstitute the government in a way that serves and protects their purposes alone is coming to fruition. Part of this effort has been concerned with disenfranchising voters, both in making it more difficult to vote and in convincing would-be voters that their vote means little. They want us disinterested or distracted. Or misinformed. Prove them wrong. Be informed. Make your vote count. I will not try to sway your vote but while I am known as the Red Tree guy, my favorite color is blue. Especially come November 6. The painting above is The Sea, Watched from artist Jamie Wyeth. 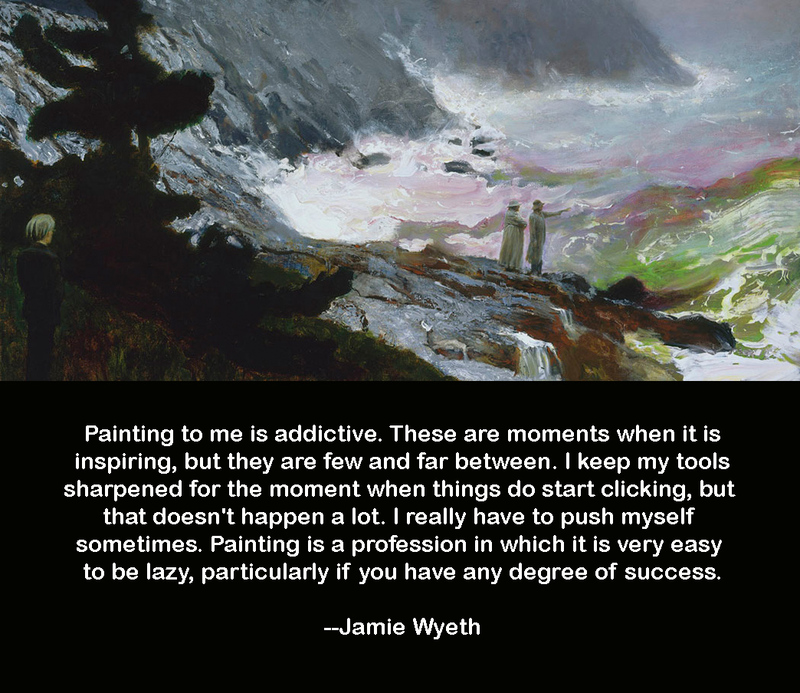 I came across the quote from Wyeth that is below the image and it really struck a nerve with me, especially in the moment. Being back in the studio after the Gallery Talk at the Principle Gallery, I am conflicted by two desires. One is to just be bone lazy and do nothing, to simply enjoy the good feelings generated by the talk and my own sense of my work at the moment. The other is to dig back in with even greater fervor, to move the goalposts ahead and begin the next step towards reaching those goals. What exactly those goals are is yet to be determined but I do know they are there. I do feel that I do have to move forward, to not be lazy and rest on the work that is out there at this point. Part of that comes from doing these talks and getting real feedback on what I have done. I don’t want to come before these folks next year and have nothing new, no advancement in the body of the work, to point to. That is the one of the addictive parts of this painting thing– a fear of falling short. But sometimes the lazy part is appealing. I look at the work so far and I feel good about it. I tell myself to take it easy. Relax. Coast for a while. That would certainly be easy to do. But part of me knows that’s the wrong way to go. If for some reason my career ended today, I can’t say I would be satisfied with what I have done. I don’t feel that my story is completely told yet, that the work hasn’t yet revealed all that it has to yield. So, I dig back in. I was asked after the talk the other day if I planned to retire and I laughed. First, I said I couldn’t because all of the paintings I have given away at these talk represented my retirement funds. But I said I couldn’t imagine not doing this to the day I either die or become incapacitated in a way that would prevent me from picking up a brush and making a mark. Realistically, I figure I have a good twenty five years in which to be productive. And if I am fortunate and take care of myself, maybe thirty. I notice more and more older artists working into their 90’s and beyond, producing new work that are exclamation points on long careers. That would be good. But it won’t happen if one lets laziness creep too much into the equation. Fortunately for me, the credo, “Live to work, work to live,” is not a scary or depressing idea. So, that being said, I’ve got a lot of work to do. Have a great day. Good day yesterday. My Gallery Talk at the Principle Gallery went really well, with a great group of folks that made the task much easier for me. Lots of familiar faces of friends that I have seen many times before and plenty of new ones as well. They all made me feel comfortable and had lots of interesting and well thought out questions. The hour flew by and I only stumbled once or twice. We had some laughs and I hope everyone walked away thinking that it was time well spent. I know that I enjoyed myself. That’s not something I have always said after some of these talks. I often anguish over things I have and have not said, over those folks I didn’t get to say more to, over the flop sweat that I can feel seeping out of my pores when I suddenly go blank. Things like that. But yesterday didn’t hold a lot of regrets for me. I felt very free to be open and honest with these folks. Thank you to everyone who was there for giving me that freedom. I can’t fully express my appreciation for the sustenance that it will provide me over the long days ahead in the studio. And a very warm thank you to Michele and the gang at the Principle Gallery for the continuing support you offer me after the 21+ years we’ve worked together. I appreciate all you do for me but more than that, I value the friendship and trust you have shown me over this time. Thank you, as potent as those words are, seems insufficient. But you know what I mean, right? Hope we can do it even better next year! For this Sunday morning music here’s something from a favorite of mine, the great Rhiannon Giddens. It’s called Hey Bébé and it has a nice, jaunty feel to kick off the first Sunday of autumn. Have a great day. 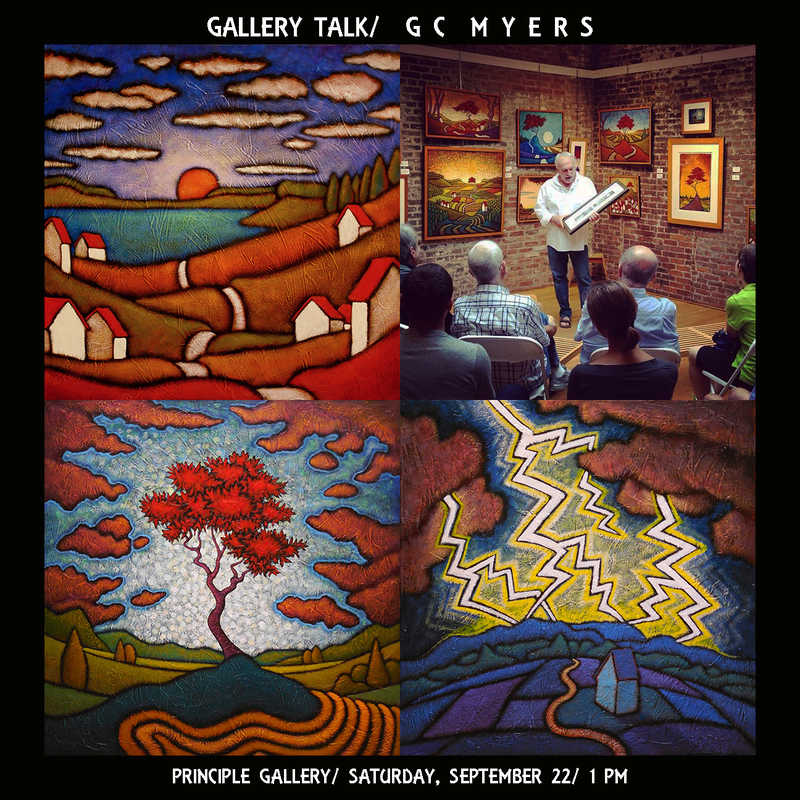 Gallery Talk today at the Principle Gallery in Alexandria, starting at 1 PM. The weather is supposed to be perfect and there’s a great art festival on King Street. Plus you can possibly win a painting at the Gallery Talk. Plus there are some other neat surprises.